GOSET31NCPS Team: Penn State Nittany Lions Features: -Made of glass.-Authentic NCAA team league. 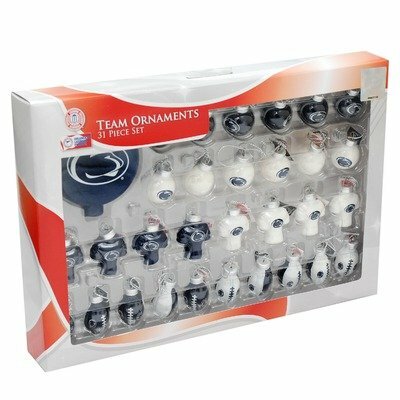 Includes: -Set includes: 1 Tree topper and 30 ornaments (various shapes). Color/Finish: -Official name bold team color and logo. Dimensions: -Dimensions: 2″ H x 6″ W x 12″ D.